What's going on with Fitbit? Fitbit's big new product this holiday was the Ionic, its first official smartwatch and a big reply to devices like the Apple Watch and Samsung Gear Sport. However, the lack of big sales on the Ionic may be hurting the company's immediate future. Fitbit's shares took a tumble down about 10% on Friday after Stifel Nicolaus analyst Jim Duffy cut his rating on Fitbit's stock from "hold" to "sell," making it the second sell rating on Fitbit's stock. Just a reminder: Sell ratings on Wall Street are still a relatively rare occurrence. Duffy says Fitbit's innovations and new features have failed to appeal to customer interest this holiday. "Exiting 2017, innovation has failed to both unlock any meaningful healthcare business opportunities and inspire meaningful new consumer interest in the category," Duffy wrote in his report. "While monetization avenues in the digital health space remain conceptually intriguing, realization of the opportunity has been underwhelming to date and there is nothing tangible to point to return on the associated R&D investment spending." Similarly, Morgan Stanley analysts have found that the Ionic has been stacking up inventory at retailers since Black Friday, even as sales have reached a peak at retailers for the holiday shopping period. 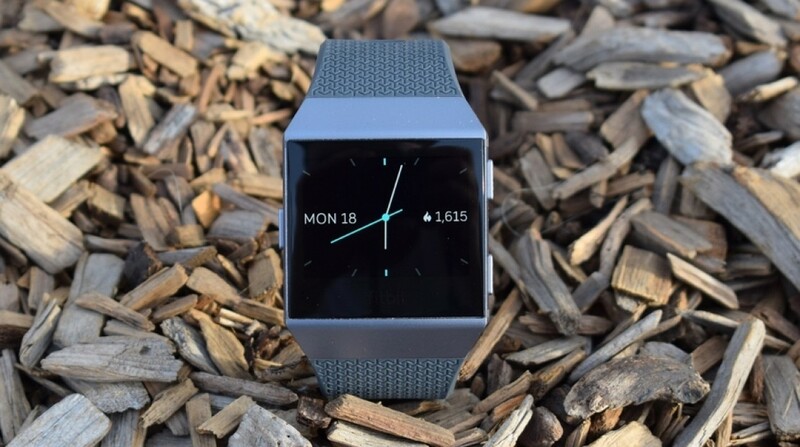 Jackson Somes, industry analyst at Gap Intelligence, told Wareable that Fitbit offered the first discounts on the Ionic shortly after Duffy's rating change. "Because Fitbit is now applying instant savings to the Ionic and not during the biggest sales day of the year, it leads me to believe that unit sales for the Ionic did not meet initial expectations and now Fitbit is playing catch-up," Somes said. "The company is still trying to capture as much of the remaining holiday shopping crowd as it can before the season passes." The good thing Fitbit has going for it is that the wearable market still has a lot of promise, and the company has invested in long-term health features like sleep apnea and atrial fibrillation detection that could underline its desired place in the wearable world, as a one-stop health shop. However, getting there is going to be an uphill battle, especially with giants like Apple and Samsung going for the same things. Apple for instance, recently launched a study on atrial fibrillation.